This is no onion no garlic recipe. Remove skin of boiled potatoes and make 1” cubes. Grind coconut, red chilly and tamarind into fine paste. 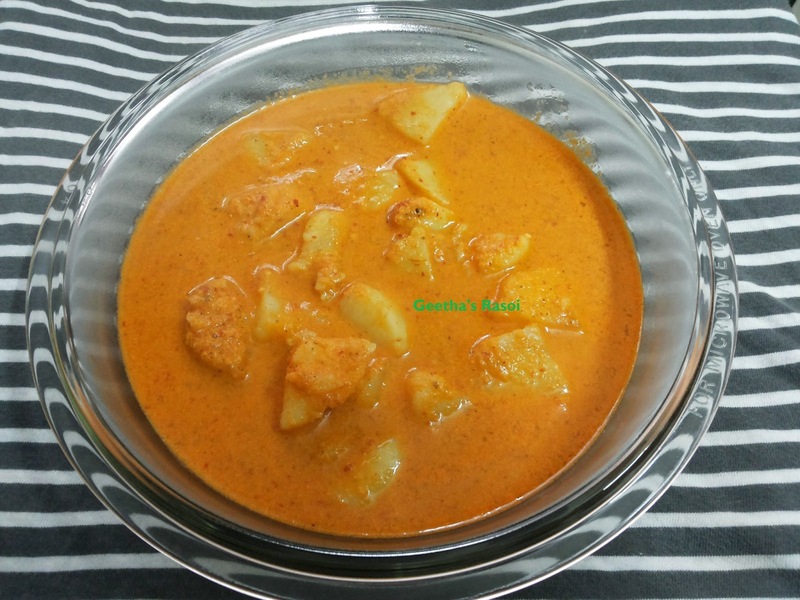 Mix the potatoe cubes with masala add salt add enough water to make gravy and boil it for 10 minutes. Mix hing powder with little water and pour this on boiling gravy. Switch off gas and pour 2 tsp of coconut oil. Batata Humman is ready to serve with hot steaming rice.